1. Dedication: Fredrick A. Bliss Teacher, Researcher, and Director of Plant Breeding (Thomas C. Osborn). 2. 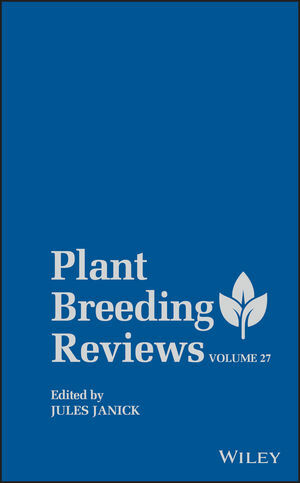 Sugarcane Improvement through Breeding and Biotechnology (Ray Ming, Paul H. Moore, Kuo-Kao Wu, Angélique D’Hont, Jean C. Glaszmann, Thomas L. Tew, T. Erik Mirkov, Jorge da Silva, John Jifon, Mamta Rai, Raymond J. Schnell, Stevens M. Brumbley, Prakash Lakshmanan, Jack C. Comstock, and Andrew H. Paterson). III. Sugarcane Improvement Through Biotechnology. 3. Breeding for Resistance to Maize Foliar Pathogens (Richard C. Pratt and Stuart G. Gordon). II. Diseases Incited by Fungal Pathogens. III. Diseases Incited by Viral Pathogens. IV. Diseases Incited by Bacterial Pathogens. 4. Synteny in the Rosaceae (Pere Arús, Toshiya Yamamoto, Elisabeth Dirlewanger, and Albert G. Abbott). II. Genetic Maps in the Main Rosaceae Species. IV. Other Genetic Resources of Interest for Map Comparison. 5. Genetic Mapping and Molecular Breeding in Cucurbits (Yi-Hong Wang, Ralph A. Dean, and Tarek Joobeur). 6. Breeding Douglas-Fir (Glenn T. Howe, Keith Jayawickrama, Marilyn Cherry, G. R. Johnson, and Nicholas C. Wheeler). III. Distinctive Characteristics of Forest Trees. V. Factors That Influence Douglas-Fir Breeding. VI. Breeding Goals and Objectives. VII. Overview of Tree Breeding Methods. IX. Breeding and Testing Methods. X. Production of Improved Materials for Reforestation.